Chaparral Veterinary Medical Center has been serving the veterinary medical needs of horses for over 30 years. 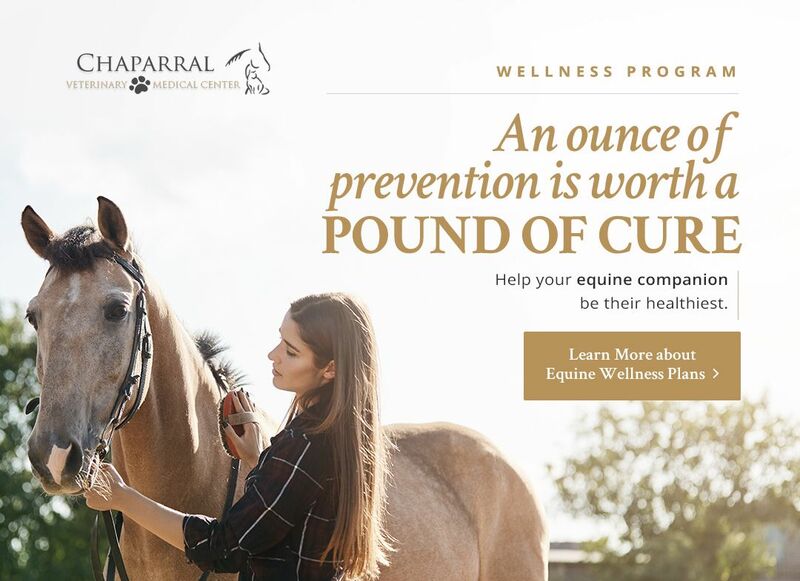 Committed to our clients and their horses, we aim to provide the highest quality of equine veterinary care and excellent service to ensure the health and performance of every horse we serve. 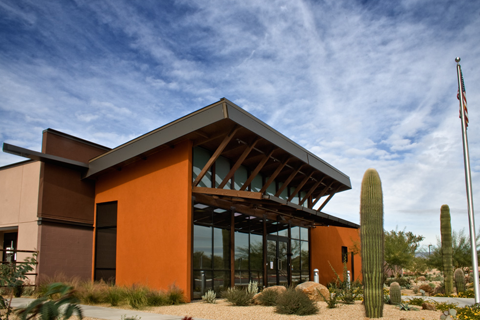 Chaparral Veterinary Medical Center (CVMC) is a full-service veterinary hospital and clinic for horses, dogs, and cats. From our original location started in 1978 to our new location built in 2008, the practice has constantly been striving to improve patient care by being progressive in the services we provide. We now offer not only quality primary care services for our patients but we also provide specialists for the most demanding referral cases. At last count, we have on staff 9 veterinarians (two of which are board certified specialists), 15 staff members, and many other specialists who will see your animal when special circumstances require. 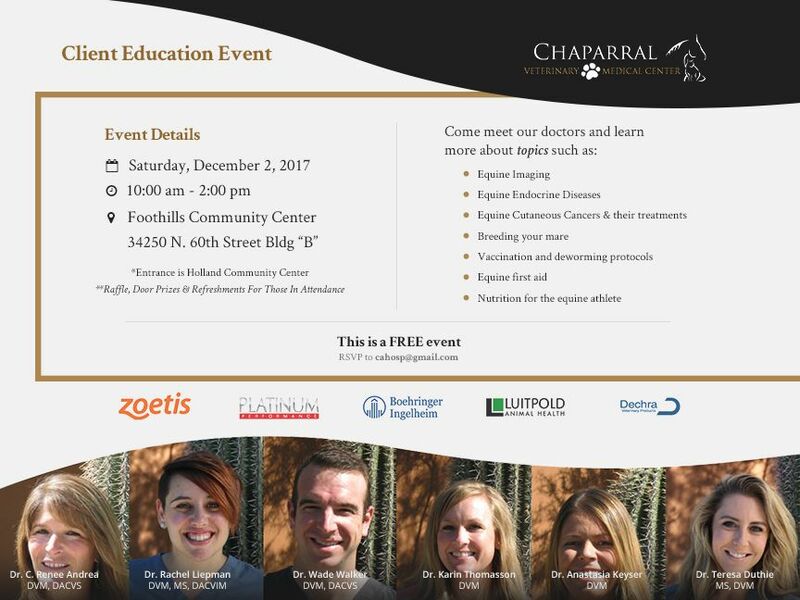 Chaparral Veterinary Medical Center offers full-service small animal care including routine surgeries such as spays, neuters, and dental. We also offer medical treatment, hospitalization, digital radiography, and preventative care. The 3rd Saturday of every month from 8am-10am we offer a low-cost vaccine clinic. Offer applies to New Small Animal Clients.